Have you ever tried to read a book so thick with dialect and accents and archaic language that your brain wanted to explode? It can be ridiculously exhausting. 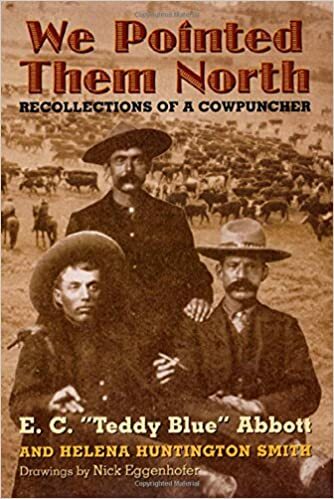 Dropping every 'g' ending or 'h' beginning, using "bless your heart" or "Uff da" with liberality, or throwing in so many colloquialisms that the characters become comic representations of themselves. Stereotyping is a hot-button issue these days. Publishers are hiring 'sensitivity readers' to evaluate manuscripts before they go to print, lest they contain something/anything that might offend a particular people group or demographic. So, how can we write authentic, accurate dialogue without either exhausting or offending readers? 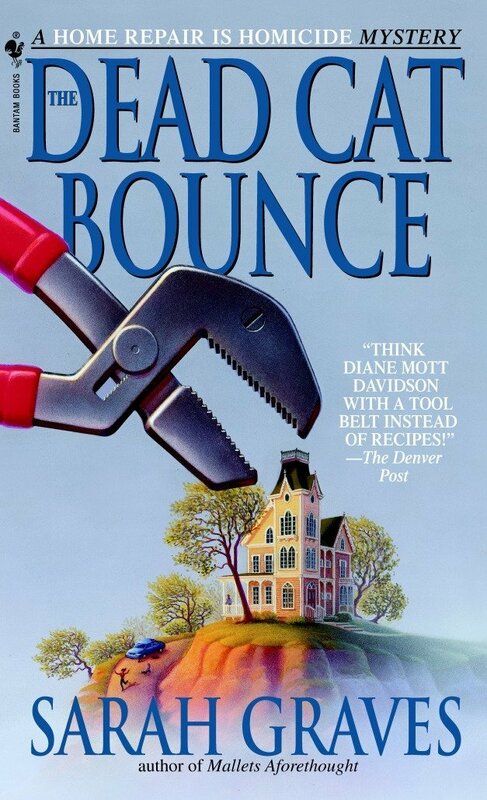 So, how do you write a heroine from Maine and make her sound authentic? Or a hero from Savannah? Let the reader know early on that a character has a particular accent. It's not playing fair if they read half the book and then find out the heroine grew up in Central Georgia. Or that the hero is British and studied at Eton. Don't point out every last instance of accent! Rather than belabor the issue by having a character comment on the accent at every usage, note it early and then trust the reader to get it. Word order helps a lot. The way a Spaniard speaks English is different from the way a Kentuckian speaks English. They will change the order of their words, use simple words if they are not fluent, and will sometimes ask if they are using the correct word. 2. Dialect - Dialect is words that are unique to a particular region or area of the country. Keep in mind that a little goes a long way. Too much, and the reader will either grow bored, tired, or wonder if it's worth it to slog through. Find one or two words unique to the speech of that part of the world and use them, sparingly. For example, in Maine, it is common for "Yes" to be said "Ayuh." If you have your Kansan say "Howcome?" when they mean "Why?" it will ring true. Avoid making a people group sound stupid. If you're writing a Civil War book, and you have slave-characters, you can portray their dialect without making them sound like simpletons. Socio-economic disadvantages are not the same as mental deficiencies. Dialect does not indicate a lack of intelligence. A little goes a long way. If you hit it right with a few, well-chosen words or phrases, that will have more impact than if you slather on the dialect and creative punctuation to excess. 3. 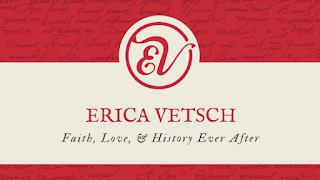 Historical Voice - Writing with an historical voice means you make your characters sound authentic to their era. Weeding out anachronistic language is where this starts, but layering in appropriate syntax, word usage, accents, and dialect are also part of writing with an appropriate historical voice. fiction. And I LOVE IT! READ! I cannot stress this enough. If you want to know how cowboys on trail drives sounded, read the Diary of Teddy Blue Abbott. If you want to know how a Colonial woman talked, read the letters of Abigail Adams. Find letters, diaries, newspaper articles, and especially novels written/published during the era you're hoping to portray. Study their sentence structure, word usage, phraseology. Then adapt your dialogue to fit. Consider the education level of your characters when adapting their historical voice. A well-educated debutante in London Society in 1814 will sound different from the boot boy or char lady. Match the historical voice to the social/educational tone of your character. A little goes a long way. 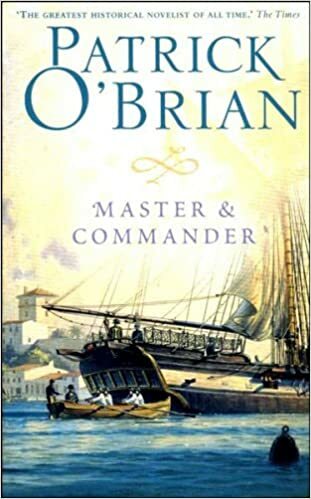 I am currently listening to the Aubrey/Matchurin series by Patrick O'Brian, a collection of naval war novels that are pure genius. However, there is a reason that there are companion books to the series. A Lexicon, An Atlas, A Muster Book, A Recipe Book, and more. Patrick O'Brian fully immersed his readers in the language, customs, geography, terminology, and mores of the setting of his story. He could scarcely avoid the 'total immersion' method (forgive the pun) for his naval war stories, because it is such a foreign world to modern readers, and unless he wanted to be pausing to explain every ratline and t'gallant, the characters have to forge ahead using the terminology that would be familiar to them. But for a western romance or a Regency or Revolutionary war story, use moderation for the sake of your readers. It can be difficult to strike just the right balance, but writing accents, dialect, and historical voices, we can be authentic without being obnoxious. What books have you read that have a great grasp of accent, dialect, and/or historical voice? We were the lucky one's by Georgia Hunter. She really did a lot of research for the book. Kim, thanks for the recommendation! This is important, Erica. I "do" historicals and I'm learning to sprinkle in just enough dialect. It's like seasoning a stew. I like Sarah Graves's work. I live in New Hampshire, and I can testify that she's got the Maine thing just right. Kaybee, "seasoning a stew" is a good way to put it! Erica, what a great post! 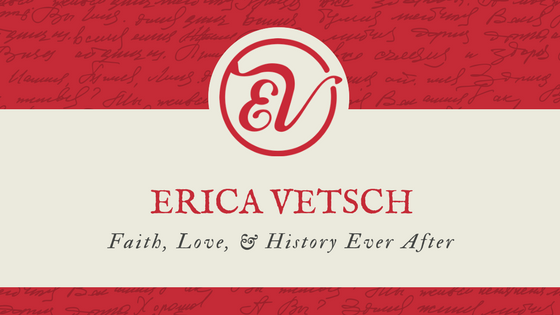 I don't write historical (yet! ), so I haven't thought much about this. But I agree that too much can drive me crazy as a reader. It is exhausting. The author needs to give us enough flavor to get a feel for the setting and time period and then let our minds fill in the rest. Missy, are you going to give historicals a try? That would be so much fun!!! Well said! It's a tightrope for sure. A great editor with an eye for anachronisms and language helps a lot. In my Natchez Trace Novel series, (esp. in The Promise of Breeze Hill), I had characters from England, France, Spain, and Ireland, and those born and raised in the colonies. It was crazy, but apparently I (and by that, I mean WE... my editors and me) pulled it off. Pam, that must've been a lot of dialects and accents to keep up with! Pam, I think you're right. If the reader isn't taken out of the story, but rather drawn into it, you've done your job! And that's a LOT of dialects and accents to keep straight and make sound unique! Oh, and I almost forgot. When my cousin first moved to Texas and asked a coworker where the "pop" machine was, the woman thought she was out of her ever-lovin' mind. We had fun with the whole "pop" vs "coke" thing when we lived in Texas! That, and running into folks who couldn't conceive of the ground freezing. We tried to describe snow that lasts from November to March, and their comment was, "But it melts during the day, right?" I love the variety within the US! Yeah, I grew up in Kentucky, where Coke means all soft drinks. :) Same here in Georgia. Here in Minnesota, the one that tripped me up was "Hotdish." A lady asked me if I was bringing hotdish to the church supper, and I said, "It's meatloaf, so I hope it's hot!" She thought I had dried peas where my brains should be, because in MN, hotdish is synonymous with casserole. Erica, thanks for this great post. I live in the Appalachian Mountains. The locals that have been born and raised here have some interesting dialect such as youuns. I am writing a contemporary book that takes place here. I have a secondary character use that word so it will appear but not be through out the book. Is that an okay use. I hear that word all the time. I have had an interesting twist. I was able to go to church yesterday. A whole different perspective sitting in the back of the auditorium in a wheelchair. My friend took me through the drive through at Captain D's and then we ate in the van. When I got back to the nursing home, I learned that on my hall there are 4 confirmed cases of the flu so I am in quarantine and have to stay in my room which is fine for me. Wilani, stay well! Praying you don't get the flu. I think "you-uns" is a great way to convey dialect. I think we've all heard it, at least once, so would know what you mean. And if you used it too much it could be distracting, but certainly it is a great bit of flavor for you Appalachian character. I think that would be great to use, Wilani! I hope you stay well! Also hope you had a flu shot. Wilani, praying you don't get the flu, dear lady. And I'm so glad you were able to go to church. Happy dancing for that! Praying you stay healthy, and Yay for filling up your soul by going to church to worship! Thanks Erica for this timely post! I've been thinking about local phrases for the novel I've been writing, and there are several websites dedicated to the colloquialisms of the area. I've been asking myself, how much is too much, and do I even include some of them as the average reader wouldn't understand since some of the words have a different connotation in other places (and I don't want to include an appendix). As far as novels I've read that do a great job, anything by John Grisham is always well done, and I think Margaret Mitchell's Gone with the Wind is an excellent one too. There was a novel I started reading recently, I don't remember the title or author's name, that drove me crazy with the dialogue (I think it was set in Northern Ireland or Scottish highlands) that I stopped reading it. I don't think I made it to the end of Chapter 1. Lee-Ann, I'd suggest trying using some. Then you can cut back some later if you need to. I think it's most important at the beginning to help set up who the character is. British authors have their own writing style, as well. I recently read THEN SHE WAS GONE. Author Lisa Jewell often included what her characters were wearing. I was clueless about the various trendy fashion styles and accessories she mentioned, using terms particular to the UK. The book was a fast read and I didn't take the time to google some of the British terms. I got the gist of what she was saying and just kept reading. Debby, that's a good point that we don't always have to understand exactly what the writer is talking about. Sometimes we can put it in context and move on. Erica: Would that be like punters doing runners for fear of being grassed up? But you made a very important comment: "Avoid making a people group sound stupid. If you're writing a Civil War book, and you have slave-characters, you can portray their dialect without making them sound like simpletons. Socio-economic disadvantages are not the same as mental deficiencies. Dialect does not indicate a lack of intelligence." That is so true! And the opposite is also true: A cultured or British accent doesn't indicate a wealth of intelligence, either. We need to remember that in our real lives as well as our writing lives! Another great tidbit: "It can be difficult to strike just the right balance, but writing accents, dialect, and historical voices, we can be authentic without being obnoxious." Hear, hear! Okay, Jan, I was born in Appalachia and also grew up in Kentucky-- and still can't manage to put 3 syllables on Floyd!! :) I would probably make it almost two: Flo-eed. Do some people add a little "da" at the end? Missy, I bet it was like this: "Fuh-loy-ed" instead of the Fl being a consonant blend. And the only reason you can't "hear" it darling is, well... it would sound pretty much right to you. Ruthy is close! It was mostly people from eastern Kentucky who would include all three syllables - "Fuh-lo-weed." And Missy, "Flo-eed" is how my sister-in-law from Knoxville says it (after 40 years, she talks like a native rather than the Michigan transplant she really is!) Maybe your accent is a combination of Georgia and Kentucky! I told my husband about the set. His response? "Don't you think they have it at the library?" Hey, Erica! You make some great points! I was watching The Cowboy Way: Alabama with my daughter after Pam Hillman recommended it. These cowboys are South Alabama boys through and through, and I grew up not far from their farms, so after watching it, I found myself speaking in my old accent. LOL! But there are so many ways to convey an accent, as you mentioned, and I for one am so glad we no longer are expected to show dialect and accent to the extent Mark Twain did it in Huckleberry Finn. That book is so hard to read because of all the crazy weird spellings. Too much for modern readers. I attempted, when I wrote Magnolia Summer, set in Alabama, to have a few instances of dropping g's at the end of sentences and then let the reader do that on their own after the first chapter. I also tried to use some Southern-isms to convey their Southernness, more so than weird spellings and dialect. And The Cowboy Way is great, isn't it? Hubby watched an older episode last night. The Cowboy Way is fun. My daughter and I watched a few. I've never been to Geneva but it's probably less than 60 miles from where I grew up. My kids make fun of how my accent deepens when I talk on the phone to people from home! But my friends from Kentucky say my accent has deepened to sound more like Georgia. So who knows! I wonder if we all do that? Parrot the inflections? Because I know I do and I tease my daughter that my grandkids are starting to drawl a little.... and that's funny because the parents don't drawl at all. The Yankee grandma gets a kick out of it. With so many northern transplants to the South and Midwest, I wonder if our brash pronunciations will ruin your soft and genteel sounding inflections... or will we succumb???? Hey, ladies, I just spoke with my eldest kid, the uber-smart, well-trained preschool development expert...she says picking up accents is a sign of excellent mirror neurons in the brain which leads to excellent imaginative play, and from that springs excellent reading skills. So, we rock! It's not a defect, it's a skill! Vince, check out this video from Air New Zealand. Even Santa can't speak Kiwi! That Kiwi clip is funny and so true. I've heard of accent drift but the Kiwis have really gone far out to sea! I always "talk British" for a day or so after reading a Harry Potter book! Awesome post! I'm always a fan of a good British or Scottish brogue.. When it's done right, you totally can experience it! LOL. Carla Laureano does a mean one in her MacDonald Family series. Pepper Basham is awesome in her Appalachian (and that cute British one too!) titles....hmmm and what else? Thank you! Annie, I love a Scottish brogue too! Erica is having trouble leaving comments!! So please know she's not ignoring us. :) Hopefully she'll be able to get it straightened out. The laptop decided to behave itself once I got home! Silly thing. Thanks for holding down the fort, ladies! Wow! How I wish more historical writers would follow the advice you've provided in this post. "What books have you read that have a great grasp of accent, dialect, and/or historical voice?" When I think about this question, I think of writers like Mark Twain, Louis L'Amour, and Carson McCullers, but then it occurs to me that I really didn't notice the language so much as I felt that the characters were authentic. I think the most important thing to do when using odd words, foreign words, jargon, and idioms is the write the sentence in such a way that the reader can always deduce what those words meant by the context. This should always be doable if the author puts on her thinking hat (or kopp). I agree that a dialect should not be used to make someone look stupid but so too I don't think having a Kansas sod-buster in 1872 speaking like a current college student just because what is being said is oh so politically correct by today's standards. I also think there is a learning curb in which at first the dialect seems stilted or somewhat hard to understand but by the time you're on the third chapter you are up to speed and you don't even notice the dialect that much. Mark Twain and Louis L'Amour are very good at doing this. I have found reading local newspapers from the location and time period to be very helpful. Louis L'Amour liked to say that the opening of the West is amazingly well documented because one of the first things a new town did was open a newspaper. Many of these old editions are still available in local museums. Thanks for this post. It has me thinking overtime. P.S. Don't feel too bad about an occasional anachronism, Shakespeare had a clock striking the hour in Julius Caesar and Hamlet went to a college that had not even been founded at the time! I love the thought that the Bard was in error!!!!! Vince, I LOVE Louis L'Amour. If there was a better writer for upping the stakes and making you care, I haven't read him, especially in the western genre. Though, come to think of it, my favorite Louis L'Amour is The Walking Drum, and that's not a western at all. I'm only sorry he passed away before he could write the next book in that series, because I've always wanted to read more about those characters. "Walking Drum" and "Finding Moon" (by Tony Hillerman) really made fans mad! I was reading each new L'Amour book as it came at the rate of about three a year. The same thing for Hillerman's books except Tony took 'forever' for the new book to come out. As far as L'Amour's fans were concerned that "Walkind Drum" book cost at least six westerns that would never see the light of day! And to this day I feel that Hillerman's "Finding Moon", his Vietnam story, was a crime against his genre! Do you ever get upset when a favorite series author writes a book outside that series? Would you really want to lose two O'Brian naval books because he used that time to write a romance? Now that I've read all the L'Amour westerns, some more than once, I think I could read "Walking Drum" without hostility. I've just ordered it form the library. Erica, I'm always willing to hear from editors to see if I've used too much or too little or repeated something too often. I find that by the time I've rewritten a story three times, I can barely remember what minor points I've put in... and which I've excised... and that includes dialect distinctions and phrases. Thank heavens for the fresh eyes of editors!!!! This is great advice. I love getting into character... and then making sure I stay in that character. And it's so much fun during a historical novel, just going back to the type and style of speech they embraced and having so many be immigrants. YEE HAW!!!!! Isn't writing immigrants and westward expansion so fun? I've got a story releasing in May that has an Irish lass who becomes a mail-order bride, and instead of getting sent to Chicago like she thought, she is sent to the Swedish settlement of Lindsborg, KS (about 20 miles from my hometown.) It was so much fun trying to write their cultural and language differences. Great post, Erica!! One of my favorite parts of writing!! In my last series, many of the characters were French or of French ancestry. I included bits of the language, used in context, or followed by a rewording in English. Also, not writing but same principal - I am also an actress and LOVE accents. My crème de la crème is my British accent. (I can turn it on and off like a spigot. Same with Irish.) But Australian had me stymied. Until I was binge watching a sci-fi show - half the actors were Australian and it stuck in my head!! Now all I need is a "trigger" word or phrase, and off I go!! An actress? How fabulous! I have ZERO talent for acting. Great post, Erica...and Kansas doesn't have hardly any accent. Nebraska is the truly accent free state and everyone north, south, east and west, is a slight variation on normal. While Kansas is not South Nebraska, Texas is known as Baja Oklahoma. It's true, Kansas is NOT south Nebraska. I am sorry about that but you've managed to get by alright. I have had people in other parts of the country talk about my accent which I don't think I have because I am from Nebraska. Accents and dialect are certainly interesting. I don't feel real confident using them in writing. I have an interesting personal story. When we were in New York City visiting Yankee Stadium, our car was towed. (Don't ask. It's a long story.) We had to take a taxi to the Bronx impound lot to retrieve it. My husband had to go into this little trailer to claim it. He said there were so many different accents he heard people speak in there, but when it came time for him to speak, he said everybody looked at him strangely as if wondering where he was from. Apparently his Nebraska accent sounded foreign to them. Sometime back Seekerville had a post with a test that could pinpoint where you grew up by the word choices you made on that test. It was not based for the most part on how you pronounced words but which words you choose to use independent of your accent. I took the test and it placed me within 15 miles of where I grew up! Amazing given that I've lived all over the USA for fifty years since then. What would you say to having your characters use these same word choices given that you know where they grew up? (You have character bios, right?) Wouldn't that take authenticity to a new level in fiction? I asked our guide giving a tour of New Orleans which part of Brooklyn he grow up. He named the street! The question never was if he grew up in Brooklyn. And all the guide was doing was describing the local landmarks. We were not talking baseball.